The Short Version: MGID lends their marketing expertise to online brands worldwide and crafts targeted campaigns that rely on native advertising. Since 2004, the company has pioneered online business strategy with ad solutions to help their campaigns’ performance and increase user engagement. Almost 10,000 publishers have benefited from adding simple widgets designed to be flexible and clickable. Dating websites have found MGID’s tailored services especially useful in raising conversion rates, so more visitors become paid subscribers. Almost 10,000 have benefited from adding simple widgets designed to be flexible and clickable. 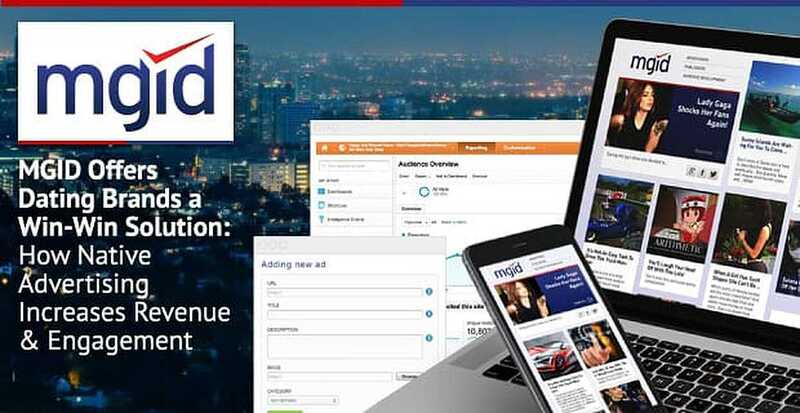 Any enterprising business, from matchmakers to relationship bloggers, can easily monetize their online content by using the native advertising solutions offered in a single integrated platform by MGID’s experienced team. In 2004, Stanislav Telyatnikov, a computer programmer in Ukraine, looked at the worldwide web and saw limitless possibilities for businesses everywhere. He formed his own company, called MGID, around the idea that native advertising could give online publishers a revenue boost by enticing users in a more seamless navigation experience. Native ads blend into their surroundings, and therein lies the power to attract clicks. MGID capitalized on this non-disruptive tool and quickly established robust campaigns for online publishers around the globe. Stanislav saw it as a win-win for consumers and businesses alike. 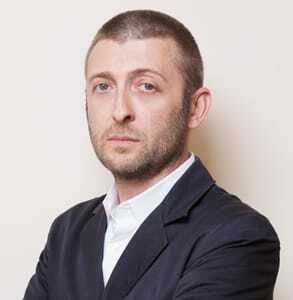 Michael Korsunsky, the Chief Marketing Officer at MGID, is an expert in content monetization. MGID is now among the most advanced native performance networks in the world with over 65 million unique visitors and 9,600 publishers supporting their mission to facilitate quality interactions between online brands and niche audiences. In the dating industry, the advertising leader offers targeted campaigns and user-friendly widgets ideal for dating websites, relationship bloggers, matchmakers, and other dating experts looking to optimize their sites. “MGID’s purpose is to create meaningful engagement for brands and advertisers by delivering the right message to the right audience,” Michael said. Through MGID’s targeted ad campaigns, businesses gain an unobtrusive way to engage customers online. Big names in the dating industry, such as Anastasia Date, have profited from the team’s marketing prowess and high quality standards in their ad content. On average, advertisers who utilize these clickable ads see up to 23 pageviews per session. Businesses work with MGID to cultivate a more engaged audience online through integrated ads. The ads network works in partnership with businesses in more than 54 categories from healthcare providers to relationship experts. They launch ad campaigns which are based on target profiles and the advertiser’s specific needs. If you want to increase subscriptions to your dating services, for instance, these savvy marketers will commit themselves wholeheartedly to that task. MGID solutions benefit everyone in the advertising ecosystem through intuitive and natural design. Their adaptive widgets and well-placed ads help dating brands grab the attention of site visitors. In all things, MGID is performance-driven, closely tracking how their marketing solutions improve metrics for their partners. Often they find a noticeable impact on conversion rates and business revenue. For instance, in one case study, a dating site reported maintaining a 4% conversion rate for 22 months. The campaign is still active. With this company, you’ll always have the freshest take. The MGID team does their research and goes to great lengths to stay up on the latest trends. As part of that effort, they keep tabs on the social media accounts of celebrities, models, and popular bloggers. Dating trends often come and go rather quickly, so it’s nice to have a dedicated team keeping their eyes on what’s hot and what’s up and coming so you have adequate context for your content and advertising. The company also closely monitors click performance on their ad campaigns to ensure all online content is resonating as it should. At the forefront of adtech innovation, MGID continuously strives to optimize their technology and marketing strategy to better serve companies on a global scale. Over the years, MGID has helped many now-booming businesses spread the word and gain a following on the web. 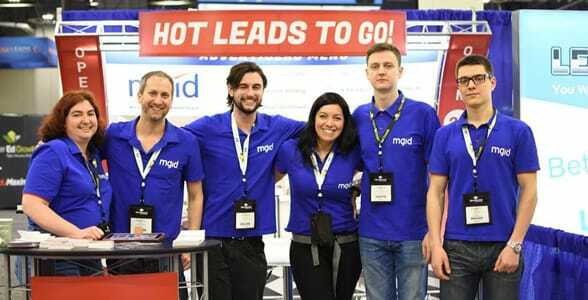 You can read about their numerous successes in their list of case studies — number 14 profiles a dating company that saw an increase in registrations thanks to MGID’s technological assistance. Over a decade ago, Stanislav envisioned a technical platform to help businesses more effectively reach people online. Today, MGID boasts the largest ad network for thousands of publishers in more than 50 categories from health to dating. Whatever your content, whatever your business goals, this team of marketing masters can help you reach your full potential on the web. Dating brands looking to develop a targeted audience of singles would be well-served to check out MGID’s performance-driven ad solutions. MGID offers ad solutions to increase traffic, engagement, and revenue for lifestyle brands. MGID’s advertising solutions add value to websites by engaging with users in a more natural, integrated, and compelling way.